CKD Galbraith, the Scottish independent property consultancy, is recruiting for eight positions across the firm in a bid to continue expanding its reach throughout Scotland. The news follows yesterday’s announcement of the partnership’s major expansion of its rural services through a merger with Hayes Macfarlane, an established farm and estates management business based in Aberdeenshire and Perthshire. The positions cover a range of levels, including one senior and three graduate posts, extending across the firm’s energy, rural and sporting agency divisions with half the roles in the commercial team, including building surveying. Pam Over, managing partner for the commercial team at CKD Galbraith, said: “After a successful 12 months, we are on track for another healthy year and this recruitment campaign forms part of our ambitious plans for continued expansion in the Scottish marketplace. “With a strategic eye to the future and our commitment in supporting new talent, we are particularly pleased to offer a number of graduate roles for fresh, motivated individuals eager to be trained by an experienced team. The merger with Hayes Macfarlane will take effect as of 1 July this year. Hayes Macfarlane will become part of CKD Galbraith operation, taking its network of regional offices throughout Scotland to 14 and will now include Aberdeen and Alyth. Sporting Lets, CKD Galbraith’s Sporting Agency department is based in Perth and offers the widest selection of fishing, shooting or stalking in Scotland and Ireland with over 60 retained estates, of which the majority are also management clients. CKD Galbraith is an independent property consultancy employing 250 staff in offices in Edinburgh, Stirling, Perth, Cupar, Inverness, Aberfeldy, Castle Douglas, Ayr, Elgin, Galashiels, Kelso, Peebles, Alyth and Aberdeen. The firm provides the full range of property consulting services across the commercial, residential, rural and renewable energy sectors throughout Scotland. CKD Galbraith also enjoys a successful relationship with its associate firm in London, CKD Kennedy Macpherson. To find out more about CKD Galbraith visit www.ckdgalbraith.co.uk or follow us on Facebook: facebook.com/ckdgalbraith and Twitter: twitter.com/ckdgalbraith. 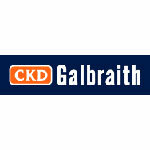 Share the post "CKD Galbraith seeks eight new recruits for continued expansion in Scotland"